Published: Nov. 8, 2018 at 02:40 p.m. 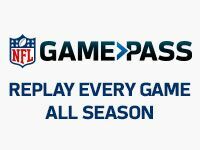 Updated: Nov. 8, 2018 at 05:42 p.m.
New York Jets rookie quarterback Sam Darnold hasn't practiced the last two days with a right foot injury. But that might not mean he won't be available for Sunday's game against the Buffalo Bills. Jets head coach Todd Bowles told reporters Thursday he is ready to rule out Darnold as the starter, but not the game. Still, it would be a stretch at this point for Darnold to be ready for the weekend's game. Reporters the past two days have spotted the signal-caller observing practices off to the side while wearing a protective walking boot. Additionally, NFL Network Insider Ian Rapoport previously reported that Darnold will not play Sunday. Backup quarterback Josh McCown is expected to step in as the starter in Darnold's place. Bowles told reporters that Darnold remains the starter when he's fully healthy.